Nearly 80 years later, when Fleet Foxes lead vocalist and songwriter Robin Pecknold discovered the essay, he felt a strange resonance. The recording sessions for 2011’s Helplessness Blues had been fraught with tension and sophomore album angst, and the endless rounds of touring that followed had left him exhausted, both physically and emotionally. The distinction between the critically acclaimed, commercially viable musician and the unassuming, shaggy-haired kid from Seattle had become blurred to an unhealthy degree. Largely because of the music Pecknold and his bandmates had made, an army of harmonically rich folk-rock bands had emerged, and he had no desire to compete against his imitators. He was lost. So, after taking off eight months to rest and travel, Pecknold traded the fog and rain of the Pacific Northwest for the buzz and bluster of New York City and enrolled in Columbia University. Despite what some have suggested, it was not a move designed to provide him with career options should he decide to walk away from music altogether. Instead, every literature and music-theory class he took was preparation for moving his craft to the next level, one where the imitators couldn’t follow. Essentially, he endeavored to live out Fitzgerald’s widely quoted maxim from “The Crack-Up,” that the test of a great mind is “the ability to hold two opposed ideas in the mind at the same time, and still retain the ability to function.” He wanted to make an album that captured that conflict—the contrast between beauty and chaos, between Seattle and New York City, between his old life and his new one. Just like that, Pecknold set about tearing down his old band and rebuilding the architecture of his songs, both musically and lyrically, experimenting with structure and theme more than ever. The first track written for the album, “I Am All That I Need / Arroyo Seco / Thumbprint Scar,” was a microcosm of everything that was to follow. The sound of two very different songs barging into each other, the arrangement shifts back and forth from somber solo acoustic guitar balladry to soaring, multilayered melodies like a radio pulling in the Beach Boys and Nick Drake on the same frequency. It was disorienting and strangely hypnotic, the sound of the controlled chaos of New York City. “Instead of world music, it would be ‘the world’ music,” he says. Soon, he envisioned the album as a unified piece, writing each song to fit a specific spot. For the first time in his songwriting life, Pecknold was using a musical technique known as voice leading, what he calls a more “graceful” way of orchestrating vocals, as compared to the less sophisticated block harmonies that had defined Fleet Foxes albums. He studied modal forms, then wrote songs and ripped them up, cannibalizing their best pieces and putting them into other songs. He was aiming for something more difficult than just slipping some experimental music theory into his songs; he wanted to make music that sounded both like Fleet Foxes and something totally new. That conversation runs through the entirety of Crack Up, from the Laurel Canyon folk-pop of “Naiads, Cassadies” to the orchestral flourishes of “Fool’s Errand” and the tangled brass of the album-closing title track. Nearly every song is a shapeshifter, some drifting off into gloriously sweeping string-laden interludes and harmony-drenched tangents, others changing tempos and textures every few verses. (Some, such as the eight-and-a-half minute epic “Third of May / Odaigahara,” do all of these things at once.) There are songs referencing characters both mythical (“Mearcstapa”) and historical (“Cassius”), but Pecknold remains the album’s central character, a conflicted narrator searching for an uneasy peace that he only seems to find on the album’s uplifting closing tracks. Throughout, the tone is somber and searching, the sound of a man not sure of what he’s looking for but finding it all the same. 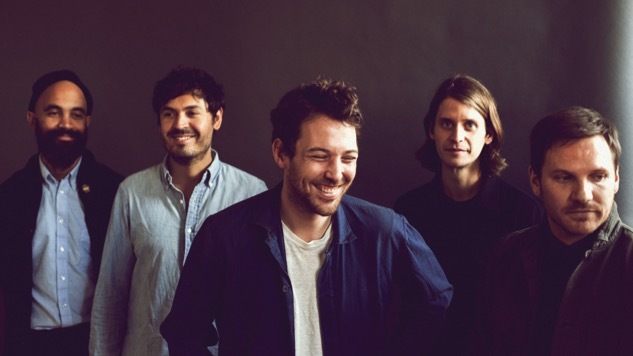 Crack-Up is the first Fleet Foxes album that sounds exactly the way he had designed it, Pecknold says, but he realizes that once the album is released on June 16 he no longer will have any control over steering the conversation around it. His tone darkens as he acknowledges his fear that public reaction will once again color his thoughts on his work. If he could, he would avoid that conversation altogether and simply jump into the making of the fourth Fleet Foxes album, he says, as his experience studying the work of Walt Whitman at Columbia has left him wanting to make an album that has “this ecstatic glow, this all-inclusive energy and brightness.” The boundaries of what Fleet Foxes can do as a band have expanded to the point that it would not only be difficult for others to imitate, but it’s difficult to find any obvious reference points. I tell him that where I was comfortable describing his music before, I would struggle to explain the music they make now.